The latest beta supports Services (the menu you never go to but that got usable again in Mac OS X 10.6) to send files and data between applications. 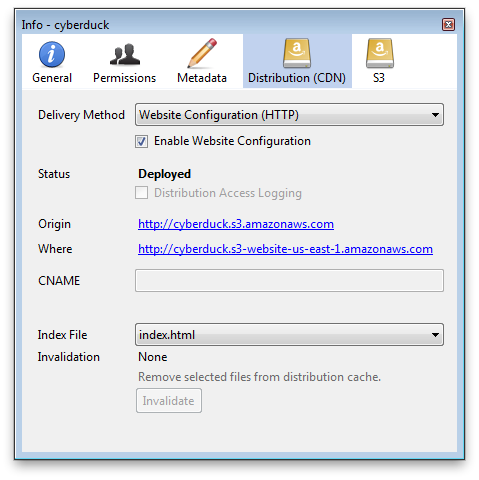 The support in Cyberduck, offers a nice new way to quickly upload files from the Finder to a server. Using Services you can select a file to be uploaded. Choose Finder → Services → Files and Folders → Upload or right click a file in the Finder to send it to Cyberduck. Alternativly you can still drag files to the application icon (for example in the Dock) as before. The Transfers window will open with a sheet attached to select the bookmark to upload the files to. Read more in the wiki about options for file uploads.